Photoshop is one thing that lets you fix everything – at least in images! It will help you get rid of any imperfections in the photo, but also allows enhancing and beautifying the photo or the person in it. Brushes are one thing that allows you to take full advantage of Photoshop even if you are not a professional artist. These ready-made brush sets offers a one click solution to many problems. Brushes are easy to use and give fast results. A lot of different types of brushes in various categories are available out there, so you can find any type of brush you need. Brushes even allow beautifying facial illustrations too, for example eye brushes, which help you enhance the look of eyes with different lenses or eyelashes. 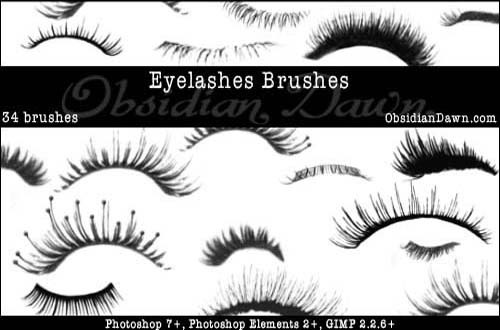 Here we present a list of 30 Free Sets of Eye Brushes for Photoshop. Check them out and pick the ones you like the best! Great! Thanks! I will surely use it.